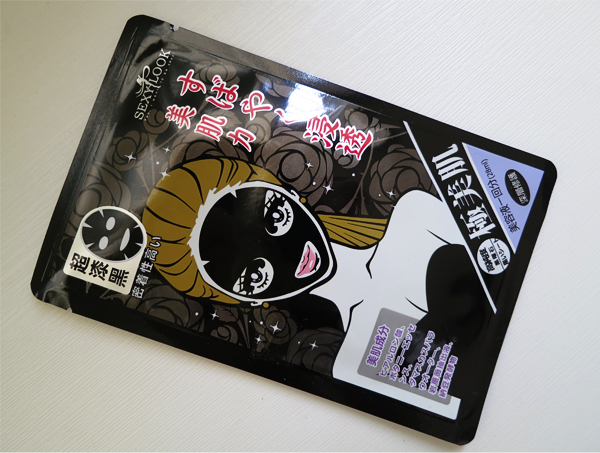 This afternoon, whilst battling with the monster that is Statistics, I thought I pamper my face with Sexylook's Intensive Repairing Black Cotton Mask (Because it is such a natural thing to do, right? :P). 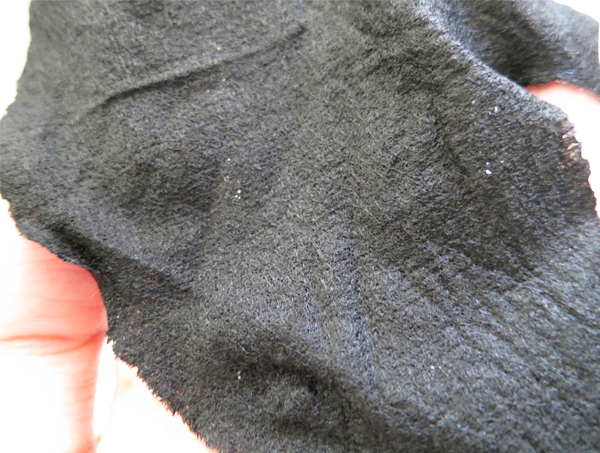 The intensive Repairing Black Cotton Mask uses far-infrared (FIR), which releases an effect caused by activated carbon. It helps to absorb dirt and excessive sebum, refine pores, hydrate and repair skin for a glowing complexion. 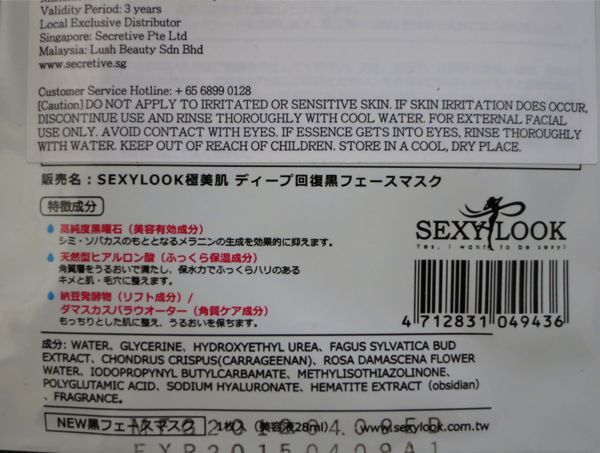 It also contains obsidian extract, derived from volcanic minerals, which aids in skin regeneration. Here's the list of ingredients. The mask came without a plastic in-between it, which made unfolding rather difficult. I have long nails at the moment and I think I tore the sides a little. :\ The mask felt soft and was extremely comfortable on my face. It was soaked in essence but not so much that it dripped everywhere. The mask adhered to the skin firmly and throughout the entire duration that I had it on my face. There were no loose flaps hanging or essence trailing down my neck. However, the nose flap seemed a little too short so I placed it lower and this resulted in less coverage for my forehead. P.S. 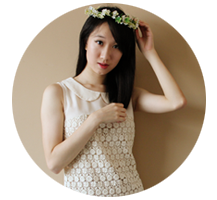 : Right this minute, our favourite Watsons is having a sale! This mask is going at $2.90 till October 10th! Go, go, go!